ASEM is a scholarly non-profit organization that unites scholars of a humanitarian disposition in the countries of the former Soviet Union who engage in the academic study of esotericism and mysticism. ASEM aims to unite the efforts of interested scholars to systematically study these promising phenomena, and aids in the creation of original methodologies and a corresponding descriptive language, in describing different worldviews on which esoteric and mystical movements are based, in the analysis of their symbols, categories, and social structures, in codification of the stages of development of these phenomena in history, and so on. ASEM's priority aims are to determine the reason for a staunch prevalence of mystical and esoteric aspects in human culture in different states of its history and to determine the extent of their influence on contemporary culture. ASEM aspires to make connections with corresponding scholarly organizations in other regions of the world, scholarly projects, and joint publications. 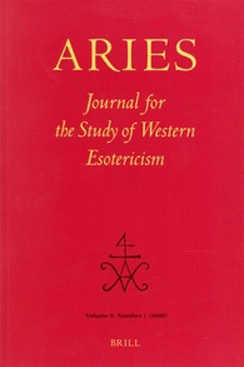 The main form of ASEM activity for the realization of the abovementioned tasks is the holding of international scholarly conferences on the study of mysticism and esotericism, which allow for an interdisciplinary coverage of these phenomena, including, but not limited to, the historic, psychological, and philosophical approaches. These conferences are "mobile," meaning that they are held in different cities in post-Soviet space to attract greater attention of the scholarly community to research in mysticism and esotericism. At the moment, five conferences have taken place, all under the general title "Mystical and Esoterical Movements in Theory and Practice" (for more information, see the "Conferences" section). ASEM publishes the collected materials of these conferences. ASEM also publishes its own online academic journal, Aliter, twice a year. Aliter articles are published in Russian and English. All questions of organization are decided by the Board - the executive and coordinating organ of the ASEM, which defines the main directions of its activity. ASEM invites scholars who study esotericism and mysticism to join its ranks. To join the ASEM or for more information about its activity, please write to the secretary aiem-asem@aiem-asem.org. Click HERE for ASEM's English language webpage; HERE for the Russian language Homepage. Project AWE (Aesthetics of Western Esotericism) is a non-profit 501(c)3 organization based in Los Angeles comprised of an international team of scholars dedicated to exploring connections between Western esotericism and the arts. AWE’s mission is threefold: interpreting the past—contributing to the present—shaping the future. AWE interprets the past by producing quality research, (academic) publications, conference presentations, workshops, public and private speaking engagements, a blog, and guided museum tours, on how the beliefs, ideas and philosophies of esoteric undercurrents such as Magic, Alchemy and Kabbalah can help us fully appreciate the cultural icons of Western European heritage. AWE contributes to the present by organizing exhibitions and performances and promoting visual, literary and musical arts that introduce new dimensions of aesthetic experience. AWE shapes the future by inspiring and supporting talented young artists as they transition into adulthood. In doing so, AWE acts as a platform for interdisciplinary Arts and Humanities dialog that ascribes to the standards of academic institutions, while remaining accessible to the public. AWE welcomes collaborative opportunities and to date has created numerous successful joint programs with important cultural institutions in Greater Los Angeles area such as American Jewish University, Alliance Francaise de Los Angeles, Global Cinematography Institute, and the Los Angeles Scottish Rite. CESNUR, the Center for Studies on New Religions (Via Confienza 19, 10121 Turin, Italy, phone 39-011-541950, E-mail: cesnur_to@virgilio.it), was established in 1988 by a group of religious scholars from leading universities in Europe and the Americas. Its original aim was to offer a professional association to scholars specialized in religious minorities, new religious movements, contemporary esoteric, spiritual and gnostic schools, and the new religious consciousness in general. In the 1990s it became apparent that inaccurate information was being disseminated to the media and the public powers by activists associated with the international anti-cult movement. Some new religious movements also disseminated unreliable or partisan information. CESNUR became more pro-active and started supplying information on a regular basis, opening public centers and organising conferences and seminars for the general public in a variety of countries. Professor Massimo Introvigne, the managing director of CESNUR, started collecting books on minority religions and esoteric-gnostic schools in the 1970s. His collection now includes more than 60,000 volumes and complete or semi-complete runs of more than 200 journals and magazines. While remaining his personal property, it is housed by CESNUR and open to the public. A librarian and a research assistant work at the library in Turin, guiding visitors from all over the world, answering requests for information and updating files on hundreds of religious movements. CESNUR's yearly annual conference is the largest world gathering of those active in the field of studies on new religions. Each conference normally features 50 to 150 papers and is hosted by a leading university, each year in a different country. In the Spring, special seminars are also organized every year on monographic topics. 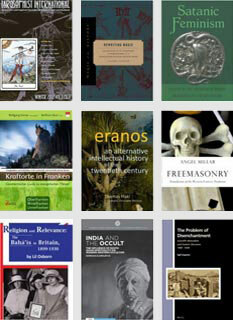 CESNUR sponsors a wide range of publications, from the very scholarly to those intended for the general public. Its main project in Italian has been the monumental Encyclopedia of Religions in Italy (2001), which was the most reviewed non-fiction work in the Italian media in 2001, published in a second and a third edition in 2006 and 2011 and continuously updated in its Web version at www.cesnur.com (the encyclopedia’s own website, while www.cesnur.org is the website of CESNUR). The Japanese Network for the Academic Study of Esotericism (JNASE) is a group of scholarly researchers of esotericism founded in 2016. First we need to explain three words from the name of this network. “Japanese” means that many of the network’s members reside in Japan, but there are no restrictions as to the nationality of the members or to the research field. We welcome researchers from other countries, and research about both Western and Asian esotericism. “Academic” in this title does not necessarily presuppose an affiliation with an academic institution or the possession of an academic title, but it refers to the unbiased and non-sectarian stance of this network. We are open not only to so-called academics but also to independent researchers or practitioners, who respect various approaches other than theirs and follow a fact-based methodology. “Esotericism” is concerned with different areas, reflecting the broad scope of this word. First it includes the research of pre-modern esotericism in the West like hermetism, alchemy or astrology. Second, modern esotericism in the West and its influences on contemporary spirituality. Thirdly, modern Western Esotericism and its related spiritual movements in Japan and Asia, which would cover everything, from pre-WWII spiritual techniques like Reiki to New Religious Movements. Fourth, pre-modern esoteric religious thoughts in Japan and Asia, such as Shintoism, Buddhism or Daoism. The main objective of our group is to clarify how far the term “esotericism” could be applied to the Asian history of religions. Click here for our Facebook page and here for our website.